The International AIDS Conference is being held this week on US soil for the first time in over 20 years. It is happening at a time when scientific advances have shown that treatment is prevention, giving even more of an imperative to scale-up, while at the same time some donors are reducing their support. Médecins Sans Frontières/Doctors Without Borders (MSF) began providing antiretroviral therapy (ART) for HIV/AIDS in 2000 in Thailand, Cameroon and South Africa, to a limited number of people in urgent need of treatment. Today, MSF treats 220,000 people in 23 countries, and some projects have been able to reach and maintain ‘universal access’ to treatment—defined as reaching 80 percent of the people in need for ART—in their districts. A first-of-its-kind study released today by MSF maps progress across 23 countries on HIV treatment strategies, tools and policies needed to increase treatment scale-up. 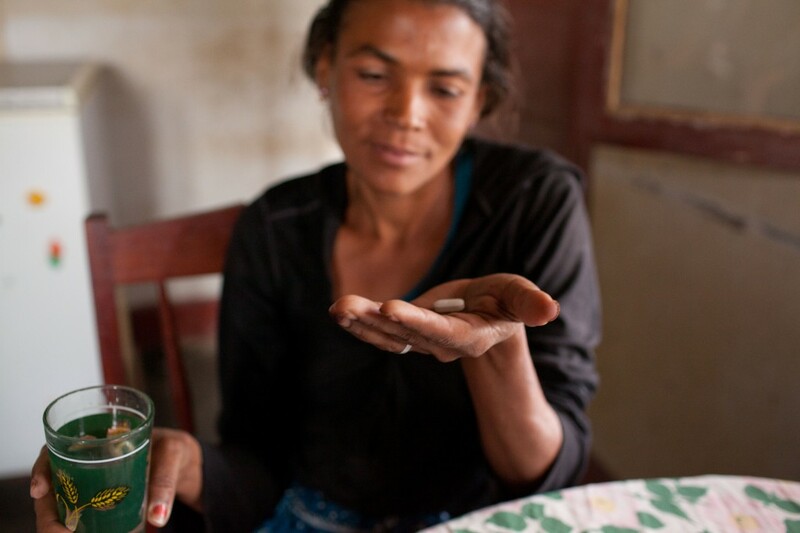 The results show that governments have made improvements to get better antiretroviral treatment (ART) to more people, but implementation of innovative community-based strategies is lagging in some countries. The study, a collaboration with UNAIDS, looked at 25 indicators in each country. This is the first ever study of HIV treatment policies in 23 countries. Carmen Jose-Panti is 32 years old. Carmen discovered she was HIV positive in 2007 and started antiretroviral treatment in 2009. Carmen is part of a six-woman community HIV group that is supported by MSF. The members of the group support each other and once a month, they take it in turns to travel to the health centre to collect refills of medicines for themselves and the rest of the group. Eleven of 23 countries have reached ART coverage of 60% or more, while six are still reaching only one third of people in need. Six countries have prevention of mother-to-child transmission (PMTCT) coverage rates over 80%, while eight are still below 50%, with five of these below 30%. Only eight of the 20 countries for which data was available provide ART in 30% or more of their health facilities, while in countries like Lesotho, Malawi and South Africa where over 60% of health facilities offer ART, treatment coverage is greater, at over 50%. Of the 18 sub-Saharan African countries in the study, 11 allow nurses to start patients on ART, with Kenya, South Africa, Swaziland, Uganda, Zambia and Zimbabwe having changed their policies just in the last two years to allow this. Mozambique is the country with the highest HIV prevalence of the countries in the study to still not allow basic nurses to initiate and manage ART.